New members, here to stay. Don't pass off as freckles of late. Love handles do the jiggle. Now you gotta teach them to lie. Is that your only clout? 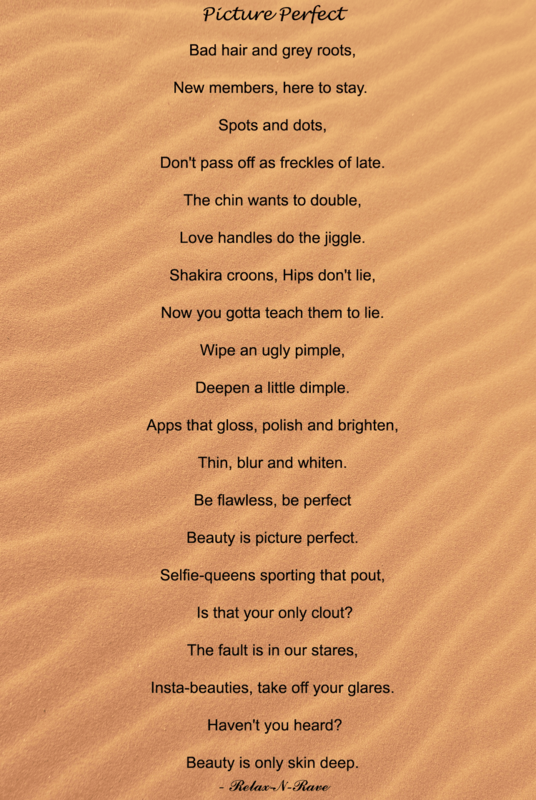 Insta-beauties, take off your glares. 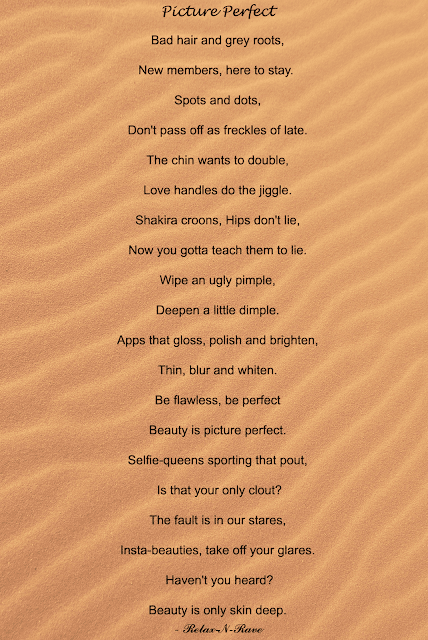 Are we headed towards an age of perfection where only physical attributes need to be perfect? Don't Judge a book by its cover. All that Glitters is not Gold. Remember? Body shaming is becoming ritualistic. No one takes pride in their imperfections. Grow up people! You are perfect as you are and just the way God meant you to be! The masks of perfect selfie smiles hide the insecurities behind them. And no, I have nothing against selfie addicts just because I still don't know how to click the 'perfect' selfie! Is there a reason behind the obsession with getting the 'perfect' selfie? Food for thought!